Stock Car Racing legend Gary Balough’s story is one for the ages. Read more about one of racing’s most enigmatic characters and his epic rise and fall. 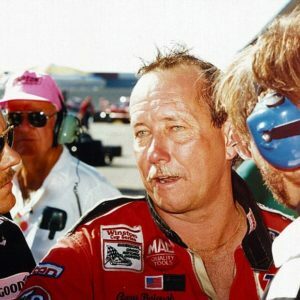 Gary Balough has won more than 1000 races throughout his career and has accumulated more than 20 wins in the All Pro division. 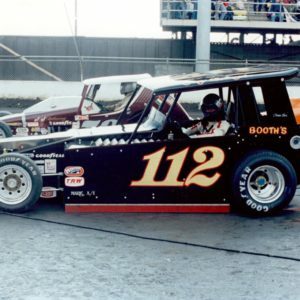 Gary is well known for piloting “The Batmobile” his no.112 dirt car in which he was so dominant on the track. Gary’s book “Hot Shoe! 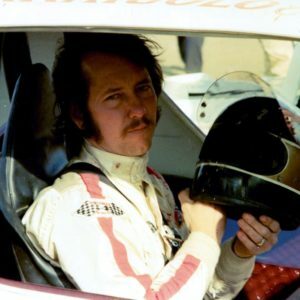 A Checkered Past: My Story” details his racing career and the decision’s that led to its premature end. Gary ‘Hot Shoe’ Balough piloted this piece of racing history to a victory at Syracuse’s Super Dirt Week in 1980. 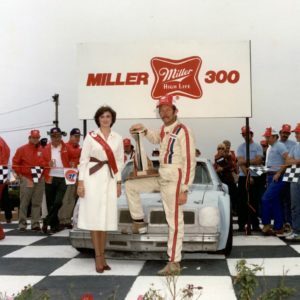 It remains to this day one of the most important innovations in the sport of dirt racing and has inspired much of what we see today on dirt modified race cars. Gary bares all in his upcoming autobiography, “Hot Shoe! A Checkered Past: My Story.” Read one of racing’s greatest tales of tragedy and triumph as Gary lays it all out, from his 1,000 wins to his incarceration at the height of his career. Enter your email here to be updated when the book is available. Halmar Friesen Racing currently competes in the Nascar Camping World Truck Series with driver Stewart Friesen of the Building America no. 52 Chevy Silverado. © Gary Balough. All rights reserved.